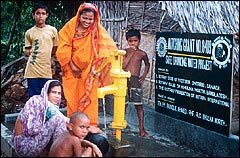 The Foundation's Humanitarian Programs fund international Rotary club and district projects to improve the quality of life, providing health care, clean water, food, education, and other essential needs primarily in the developing world. 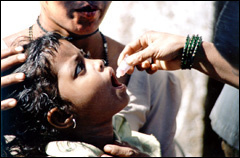 One of the major Humanitarian Programs is PolioPlus, which seeks to eradicate the polio virus worldwide. Through its Educational Programs, the Foundation provides funding for some 1,200 students to study abroad each year. Grants may also be awarded to university teachers to teach in developing countries and for exchanges of business and professional people. Former participants in the Foundation's programs have the opportunity to continue their affiliation with Rotary as Foundation Alumni.